There are two new things to tell you about in this latest edition of my newsletter. Firstly, I am extremely proud of my new, just finished, painting ‘Surface of Light’ which is now on display in Gormleys Fine Art Gallery. The gallery now occupies a wonderful new space two doors up from previous premises. Working on the painting ‘Surface of Light’. ‘Surface of Light’ – oil on canvas – 66cm x 94cm – SOLD. ‘Surface of Light’ in the new Gormleys Fine Art gallery. A nice letter received through the post! 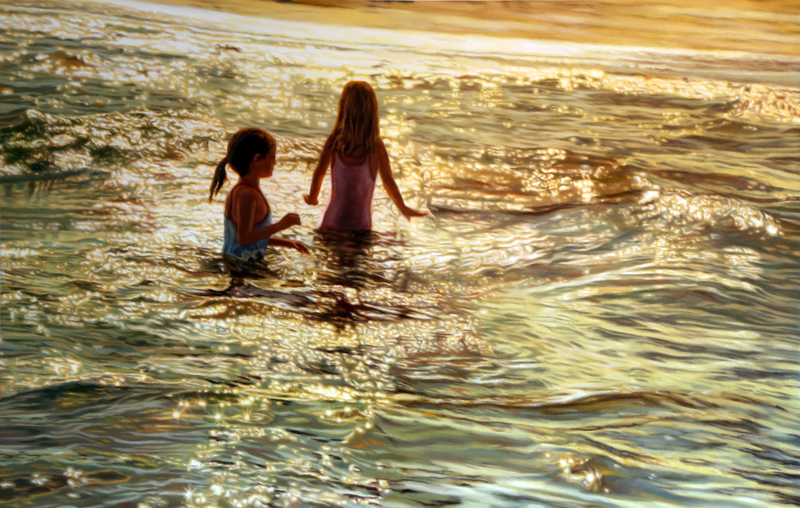 ‘Light & Water’ – oil on canvas – 66.5cm x 94cm – 2016 – SOLD. It is well worth taking a trip into Gormleys to view the work in their new Gallery and visit The RHA from Monday onwards to see the 186th Annual Exhibition. Seasons Greetings and New Painting. 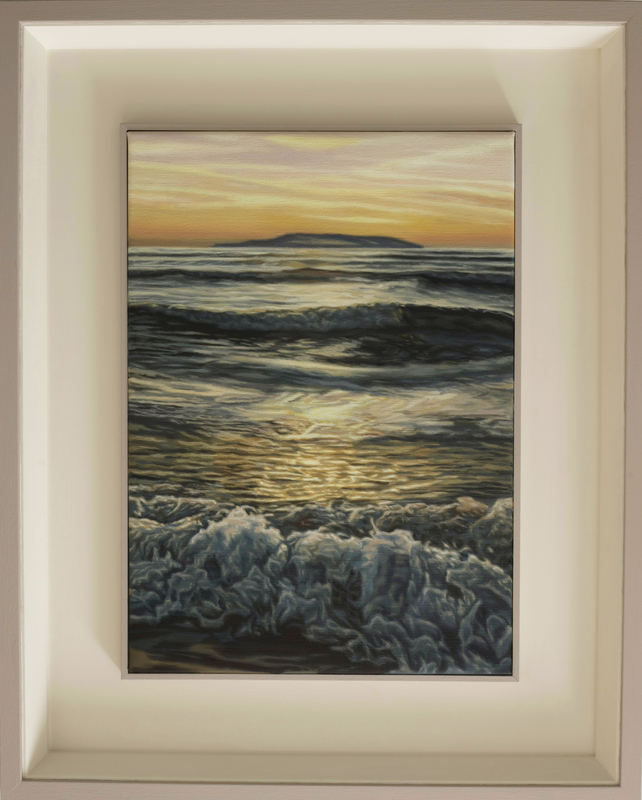 ‘Silver & Gold waters’, now on display in Gormley’s. 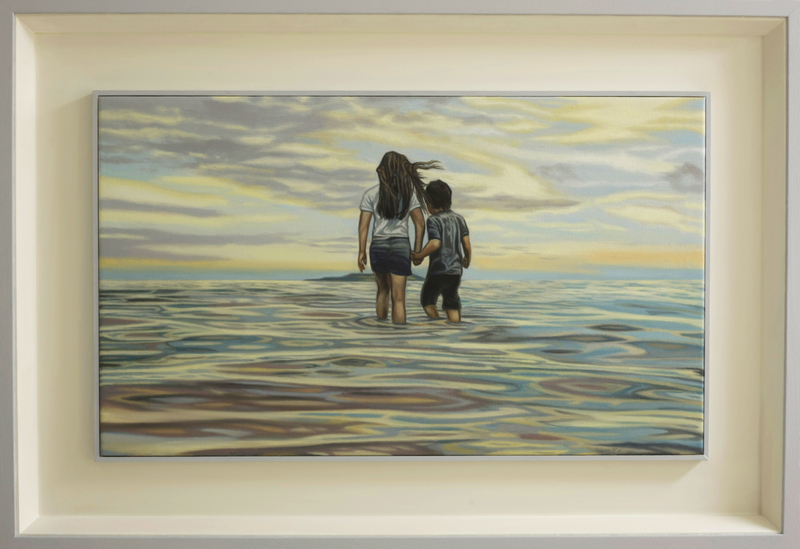 ‘Silver & Gold waters.’ – oil on canvas – 55cm x 86cm – sold. As always, well worth taking a trip into the gallery to view this new original. Open until 4pm on Christmas Eve. Wishing you and your families and very happy Christmas. ‘Mother and Child’ now on display in Gormley’s. 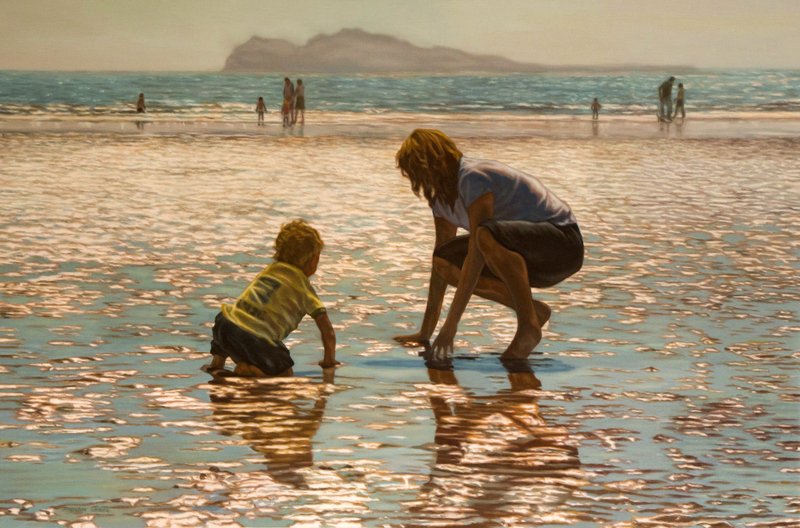 ‘Mother & Child’ – oil on canvas – 55cm x 83cm – Sold. As always, well worth taking a trip into the gallery to view the original. Enjoy these warm, summer days with plenty of sunshine to be out and about in. Welcome to the fourth edition of my Newsletter, summarising what I have been working on since the last issue in December. 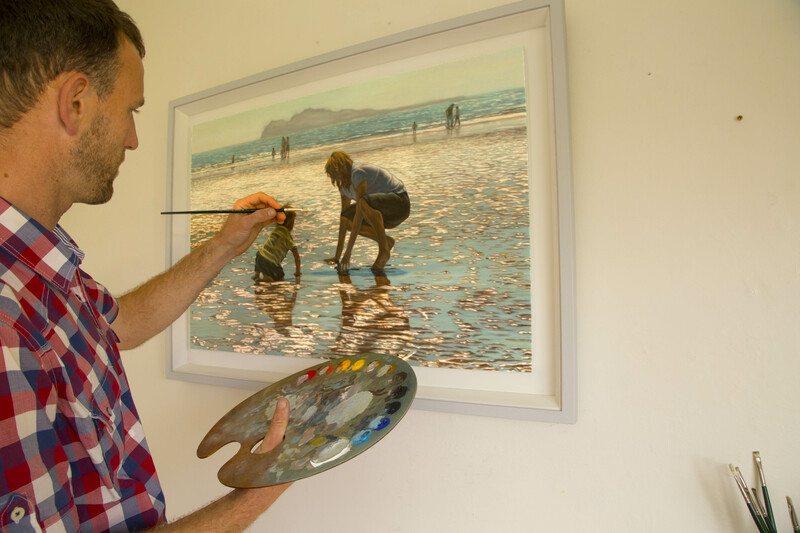 I have been very busy preparing for my upcoming exhibition to be held in Avoca at Malahide Castle with an opening reception on Saturday 4th of May at 6pm and running until the 15th of May. All are welcome. 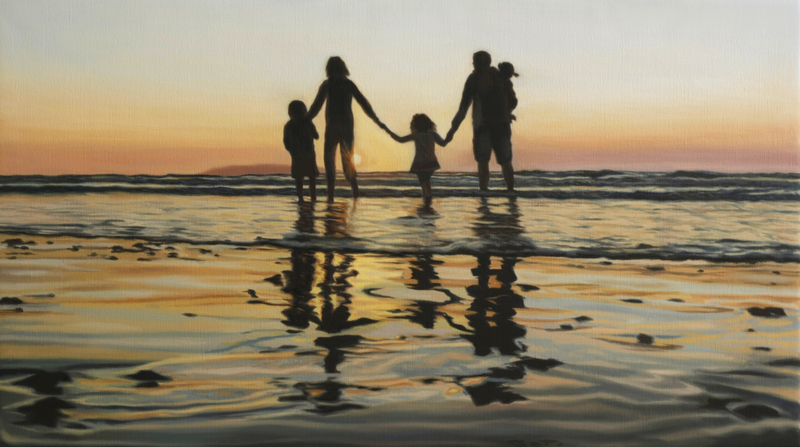 Above is a recent painting entitled ‘Family’ which will form part of the show. 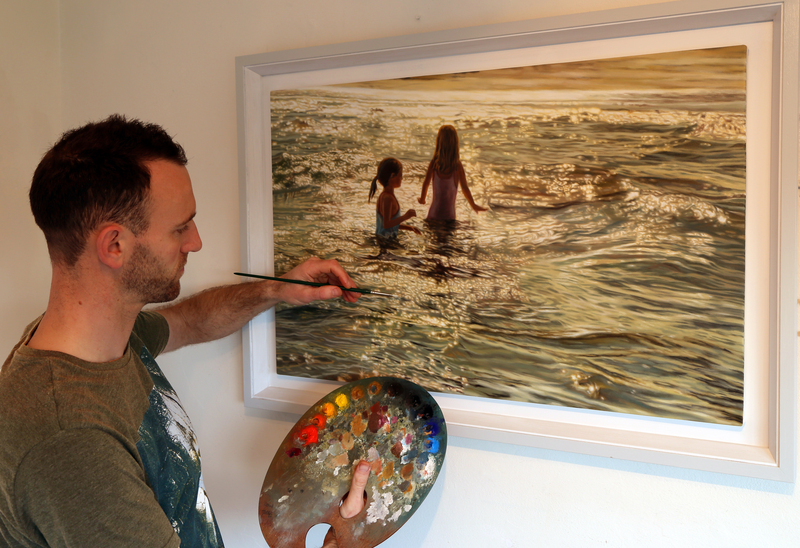 This recently completed painting entitled ‘First light’ will also be featured. As will this painting entitled ‘Tomorrow’s dream’. Thanks so much for reading. It’s great to keep you all updated with my latest activities and please feel free to reply with any feedback or to find out more about my work. I am already looking forward to putting together the next Newsletter, which will give you a ‘heads up’ prior to the exhibition in May.